Steve’s father, Ray Hanneman, was a jazz bass player in the 30’s in the Midwest playing string bass and bass horn in venues around Chicago, St. Louis, and Minneapolis. As an inspiration and tribute to his father, Steve opened Arrivederci to provide Portland with a wine and jazz venue. Arrivederci is festooned with jazz instruments from the jazz age. 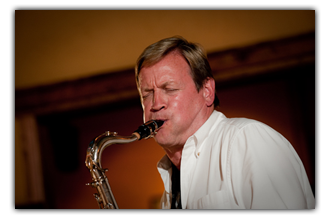 As a sax player in his younger days, Steve is often asked to sit in with his trios and quartets. Among these are After Six, Tall Jazz, and Mosaique. Steve brings a youthful enthusiasm to the tunes of Ellington, Jobim, Gershwin, Errol Garner, and Ray Charles. He adds an inventive and improvisational element to his gigs.